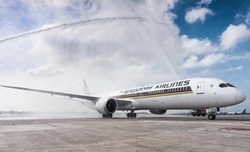 Singapore''s Changi Airport has been crowned the world''s best aviation hub for the seventh time in a row, while..
Boeing unveiled an overhaul to a software system and the pilot training of its signature 737 MAX plane, marking ..
A crucial meeting on Jet Airways took place at the Civil Aviation Ministry here attended by representatives of t..
As the US-based Boeing struggles with an ongoing crisis involving its best-selling jetliner 737 MAX, the company.. 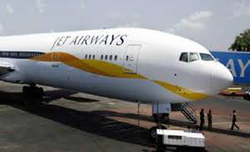 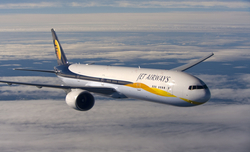 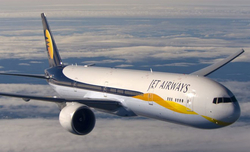 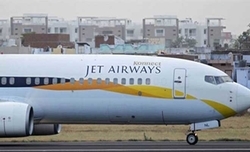 Lenders of cash-strapped Jet Airways are in the process of securing "substantial stake" in the ailing airline to..
As problems in cash strapped Jet Airways deepens, investors are favouring stocks of its competitors - SpiceJet a..
Jet Airways flight maintenance engineers have written to the aviation regulator DGCA stating that the company''s..
With canvassing for the 2019 general elections in full swing, it''s a "houseful" notice outside most companies h.. 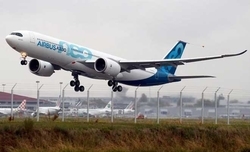 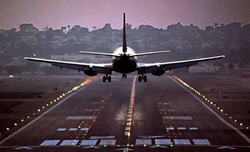 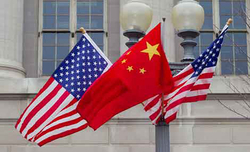 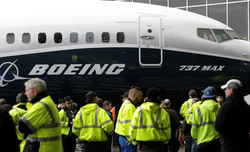 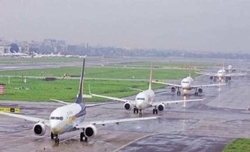 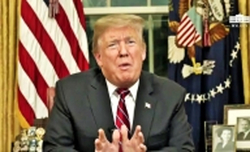 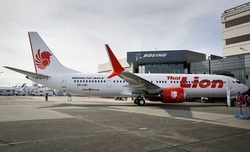 Following China, Indonesia, Ethiopia, now Singapore''s aviation regulator on Tuesday temporarily suspended Boein..
China on Monday grounded all Boeing 737 MAX 8 jets, after an Ethiopian Airlines plane of the same model crashed ..
Government''s Rs 80,000 crore disinvestment target looks difficult to achieve in the next three weeks of the cur.. 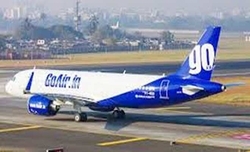 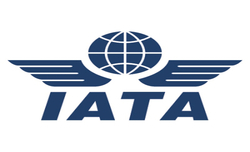 Global airline association IATA on Wednesday said that it expects the number of passengers flying to, from or wi..
Aviation regulator Directorate General of Civil Aviation (DGCA) is monitoring the flight schedule of Jet Airways..
Top government sources have confirmed that India is moving ahead to bring back high-value economic offenders fro..
Budget carrier GoAir will start seven more flights to Phuket by the end of 2019, as well as seek more bilateral .. 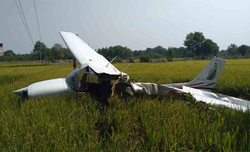 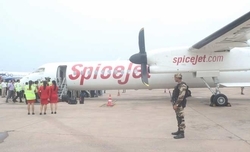 The audit report of the highly sensitive Jammu, Srinagar and Leh airports is under final scrutiny of the Bureau ..
A trainee pilot escaped with minor injuries as a trainer aircraft he was flying crashed on the outskirts of Hyde.. 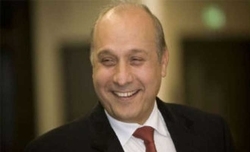 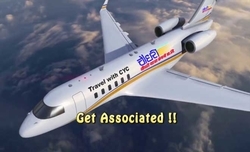 There will soon be direct flight connectivity between Israel''s Tel Aviv and India''s tourist hub Goa as a step .. 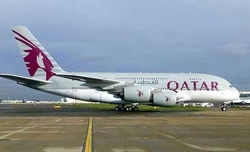 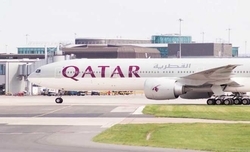 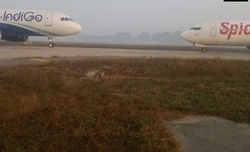 The parents of a passenger who was onboard the Lion Air flight that crashed into the Java Sea last month killing..
Boeing was facing mounting pressure over last month''s Indonesia plane crash as the owner of the doomed jet join..
Pilots on duty who consume alcohol before or during flights should be treated as criminals, aviation experts sai..
A Qatar Airways aircraft preparing for take-off from Kolkata suffered damage on Thursday after it was hit by a w..
Union Petroleum Minister Dharmendra Pradhan on Wednesday said the contract of regional airline Air Odisha under .. 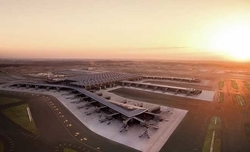 The world''s largest airport terminal "under one roof" with a capacity to serve 90 million passengers will be of.. 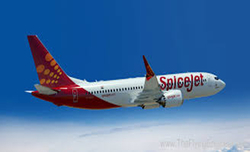 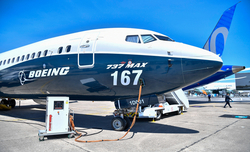 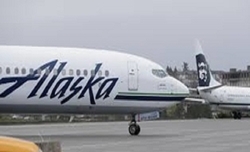 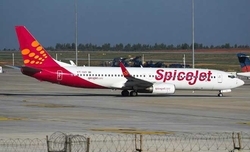 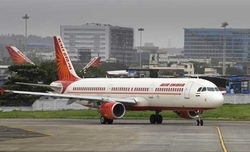 The Aeronautical Society of India (AeSI), Nasik Branch in association with Hindustan Aeronautics Ltd., Nasik or..
Budget airlines SpiceJet on Friday said it has inducted its first Boeing 737 MAX 8 aircraft that forms part of a..
All 130 passengers and six crew members on board an Air India Express flight to Dubai had a miraculous escape ea..
A revival package for debt-ridden national carrier Air India has been nearly finalised and will be announced thi..
A Boeing 737-800 aircraft has come down in a lagoon off Chuuk International Airport in Micronesia in the Pacific.. 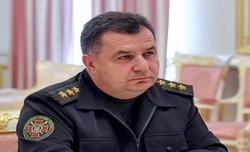 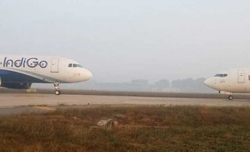 The first trial flight operations began at the Kannur airport on Thursday which is slated to soon become Kerala'..
At least 30 passengers on a Jet Airways Mumbai-Jaipur flight suffered ear and nose bleeding due to low cabin pre..
Delhi-based Choudhary Aviation Facilities Ltd had bought two helicopters of fugitive business tycoon Vijay Mally..
Ukrainian Defence Minister Stepan Poltorak on Monday dismissed as a "fake" a fresh statement by the Russian Defe..
National carrier Air India will start direct flights from Mumbai to Frankfurt in Germany from October 16. 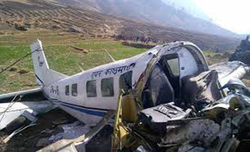 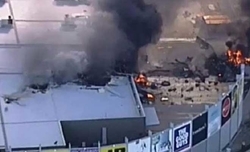 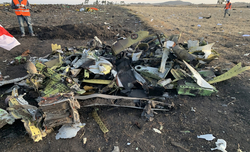 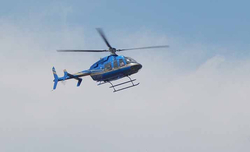 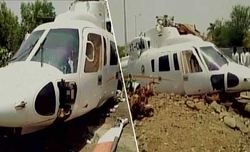 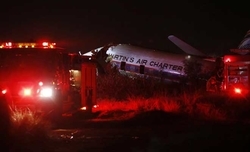 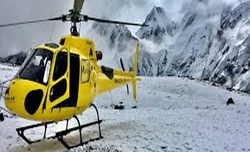 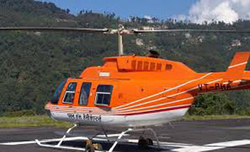 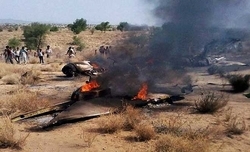 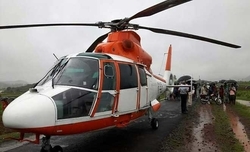 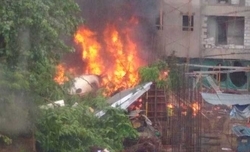 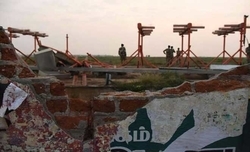 At least six persons were killed after an Altitude Air airline helicopter crashed in a dense forest area on Satu..
At least 18 persons were injured as a plane skidded off the runway and caught fire during landing in Russia''s B..
India in ancient times is credited to have best knowledge of metallurgy, mathematics, science, medicine, archite..
Budget passenger carrier SpiceJet on Monday successfully operated India''s first test flight which was partially.. 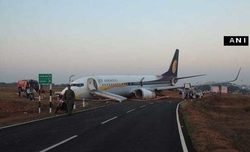 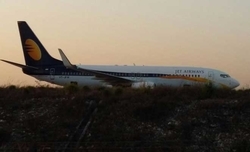 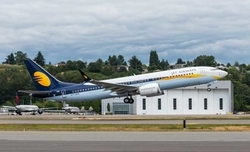 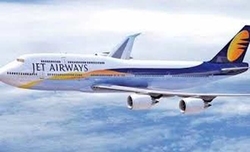 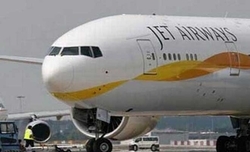 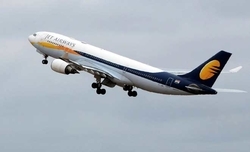 The scrip of Jet Airways traded lower during the mid-afternoon trade session on Tuesday after reports claimed th..
An plane has crashed after it was stolen by a ground employee from an airport in Washington state, authorities s..
On 10th July, 2018, two IndiGo aircraft in Bengaluru air space with over 300 passengers came so close to each ot..
One person has died and at least 20 others sustained injuries when a plane crashed near Wonderboom Airport in Pr..
China on Thursday welcomed Indian flag carrier Air India''s decision to refer to self-ruled Taiwan as Chinese Ta..
An Air India flight destined for Dubai from Delhi, via Kochi was held up at the Indira Gandhi International (IGI..
Bali''s international airport reopened on Friday after it was closed for around 12 hours, following the eruption..
At least five persons including a pedestrian were killed when a small chartered plane crashed in the thickly pop..
Boeing and Jet Airways today celebrated the delivery of the airline''s first 737 MAX airplane. 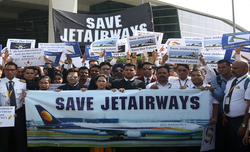 Jet Airways will ..
An Indian-origin hotel tycoon in Britain is locked in a legal battle with Heathrow Airport over his plans to bui.. 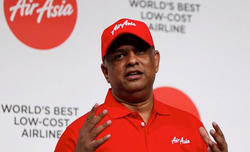 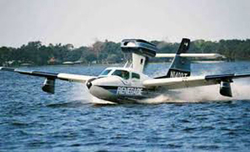 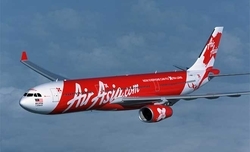 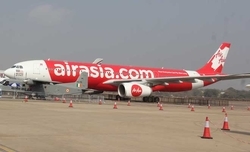 The CBI has registered a case against AirAsia group CEO Tony Fernandes, a Malaysian billionaire, for allegedly t..
Civil Aviation Minister Suresh Prabhu on Tuesday took cognisance of a sexual harassment complaint made by a fema..
Aiming of to attract more tourists, including foreigners, a seaplane service will be introduced on the Tehri Lak..
Ratings agency ICRA downgraded the Airline major Jet Airways'' credit rankings to junk status on the back of a n.. 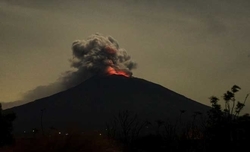 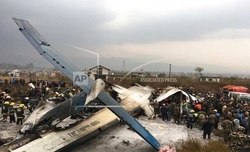 Passengers on board the All Nippon Airways'' (ANA) Boeing 767 aircraft were evacuated at a Japanese airport prio..
Two pilots were killed after a cargo aircraft of the Makalu Airlines crashed in Nepal on Wednesday, authorities .. 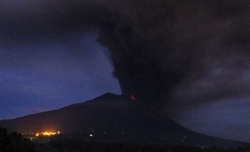 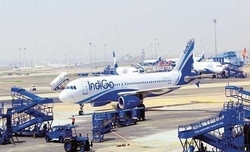 The country''s civil aviation regulator DGCA is said to be investigating a May 2 incident, when two aircraft bel.. 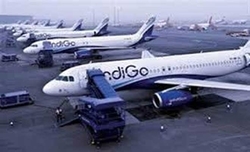 Global infrastructure investors would have taken note of news that the Airports Authority of India may privatise..
Singapore Airlines is set to launch the world''s first non-stop flight with almost 20 hours in the air, by the e..
Over 70 passengers on board an Indigo aircraft from Tirupati had a narrow escape while one of its tyres burst wh..
Budget carrier IndiGo on Sunday said that one of its A320neo aircraft that had operated on the Kochi-New Delhi r..
Saudi Arabia''s permission for overflight of Air India''s new service between New Delhi and Tel Aviv reflects on..
A SpiceJet aircraft on late Friday hit the runway lights after landing at the Kempegowda International Airport h.. 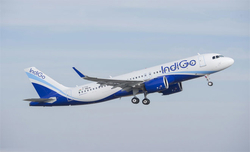 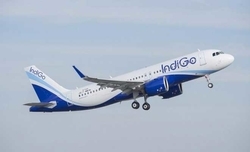 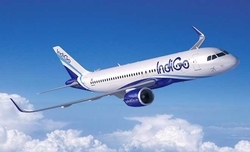 Low-cost carrier IndiGo on Friday said that it will shift partial operations from Terminal 1 of the IGI Airport ..
With its rapidly-growing economy, the fact that India needs significant investments in airport infrastructure ca.. 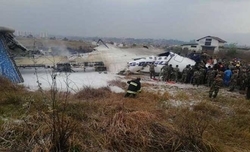 Relatives of the victims of a US-Bangla airlines plane crash in Kathmandu travelled to the Himalayan nation on T..
A day after the Directorate General of Civil Aviation (DGCA) directed the grounding of 11 A320neo aircraft, budg.. 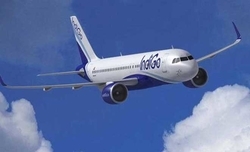 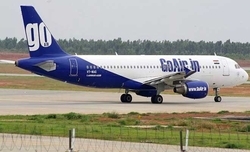 Citing safety concerns, the aviation industry regulator on Monday directed public carriers IndiGo and GoAir to g..
At least 49 people were killed and 23 injured when a passenger plane of the US-Bangla Airlines crash-landed and ..
President Ram Nath Kovind on Saturday appointed Suresh Prabhu as the new Civil Aviation Minister, a statement sa..
India will require 1,750 new passenger and cargo aircraft over the next 20 years to meet an exponential rise in ..
Low cost carrier AirAsia India will focus on expanding its domestic network and increase its flight frequencies,.. 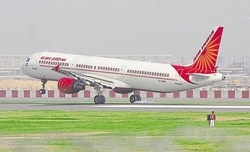 The Aeronautical Society of India in coordination with Indo-US Science & Technology Forum organized a 3-day brai..
Israeli Prime Minister Benjamin Netanyahu has said that Saudi Arabia has given Air India approval to use its air..
A GoAir Delhi-Leh-Jammu flight with 112 passengers on board had to return back to Leh Airport on Saturday, minut.. 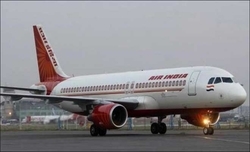 The central government plans to divest its stake in the national passenger carrier Air India by the end of 2018. 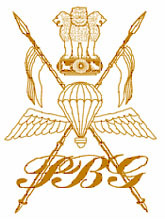 The camera, fitted on the upper body of Central Industrial Security Force (CISF) personnel, mostly on the should..
Crude oil prices at around $60 per barrel is the "ideal" level for Air India to sustain its new-found revenue gr..
"Suggestions" on Air India''s strategic divestment are welcome but the proposed stake sale in the debt-ridden na..
At least five people were killed when a Pawan Hans helicopter with at least five top ONGC officials and two pilo.. 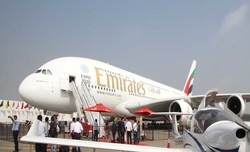 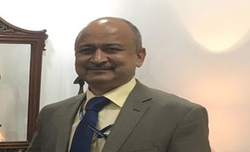 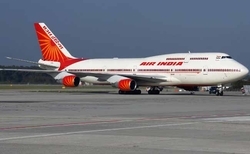 In a move designed to expedite the strategic divestment in Air India, the Cabinet on Wednesday decided to open u..
United Arab Emirates (UAE) flag carrier Emirates Airline on Monday signed a a Memorandum of Understanding (MoU) .. 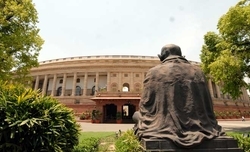 In a strongly worded report a Parliamentary Standing Committee has condemned the recent incident when a passenge.. 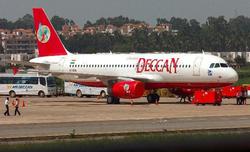 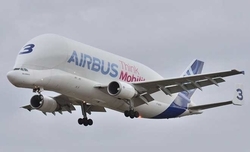 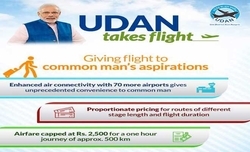 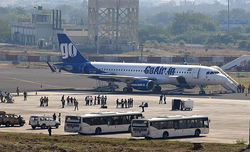 The Parliamentary Standing Committee on transport in a report slammed various airlines for not efficiently manni..
India''s first low-cost carrier Air Deccan is taking to the skies again on Saturday after a decade, connecting M.. 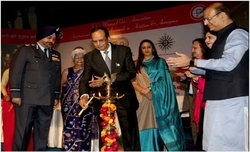 The Aeronautical Society of India gave a call for higher participation of women professionals in the aviation an.. 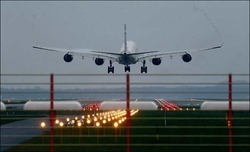 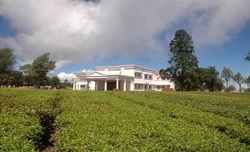 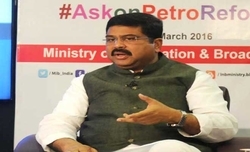 The West Bengal government is working on facilitating the availability of 130 acres of land sought by the Airpor.. 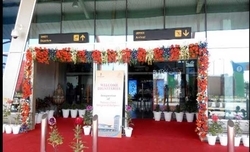 The main airport on the Indonesian island of Bali re-opened on Wednesday after remaining shut for two days due t..
Kharola headed the Metro in Bengaluru as Managing Director.Interestingly, the appointment comes just days after ..
Indonesian authorities on Tuesday extended the closure of Bali''s main airport over fears of an imminent major e..
India has agreed to enter into an agreement with Poland for co-operation in the field of civil aviation.The deci..
A possible hijack of a Jet Airways 9W 825 Cochin-Mumbai flight was averted after two passengers discussing a hij.. 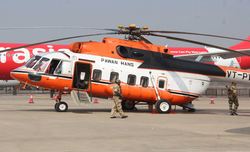 The Delhi government on Friday said that it was in talks with state-owned helicopter service company Pawan Hans ..
SriLankan Airlines plans to increase its presence in India, not only to service the surge in passenger demand bu..
An AirAsia flight was forced to turn back to the Australian city of Perth after the plane suddenly dropped 20,00..
A false alarm over presence of an ''explosive'' in the baggage of a passenger sent the security staff into a tiz..
National passenger carrier Air India on Saturday launched its non-stop flight service from New Delhi to Copenhag.. 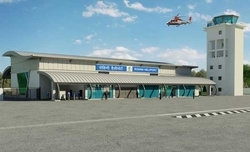 Airports Authority of India will undertake construction of Integrated Cargo Terminal at Imphal Airport after obt..
Indian Chamber of Commerce recognized Pawan Hans for its Outstanding Achievement on developing Nation’s 1st Int.. 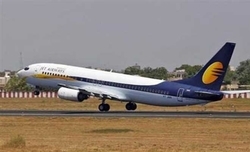 Stepping up action against unruly passengers, the Civil Aviation Ministry on Friday issued categories for airlin..
A Jet Airways Delhi-Jaipur flight with at least 62 passengers on board suffered a tyre deflation at Jaipur airpo.. 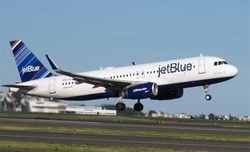 US airline JetBlue has opened an office in Cuba, exactly a year and a day after the company in 2016 resumed comm.. 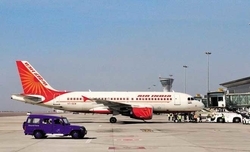 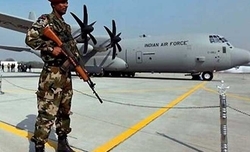 The government on Wednesday said the Hindon Air Force base in Uttar Pradesh''s Ghaziabad may be used to connect ..
Aviation industry major Bird Group has envisaged buying a stake in Air India via its divestment process. 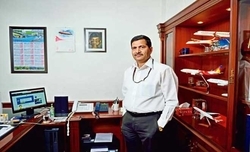 Air India chief Ashwani Lohani was on Wednesday named the Chairman of the Railway Board to succeed A.K. 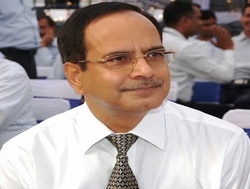 Mittal, .. 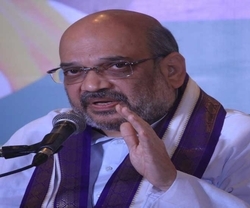 The Panaji bench of the Bombay High Court on Monday disposed a plea filed against BJP chief Amit Shah''s public ..
Civil aviation regulator Directorate General of Civil Aviation (DGCA) on Thursday expressed concern over groundi.. 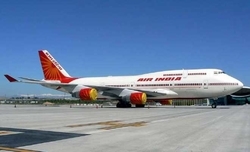 The first Boeing 747 Air India trial flight landed at the Srinagar international airport on Wednesday. 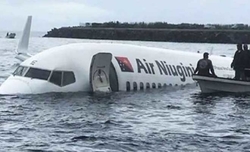 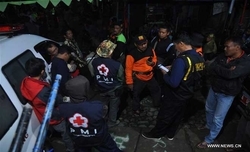 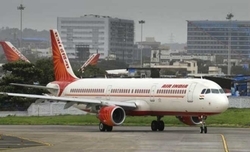 The Ministry of Civil Aviation does not have any information on the proposed privatisation of Air India, an RTI ..
National passenger carrier Air India on Monday said that it has stopped serving non-vegetarian meals on all its ..
Two people were killed as a helicopter operated by the Indonesian search and rescue office crashed in Central Ja.. 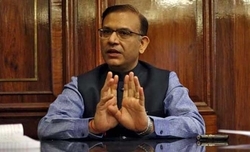 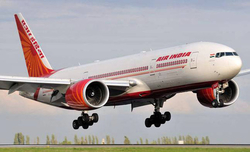 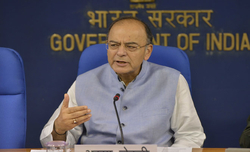 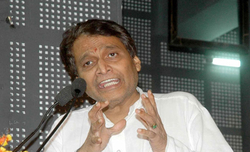 The Union cabinet on Wednesday gave in-principle approval for Air India''s stake divestment, Finance Minister Ar.. 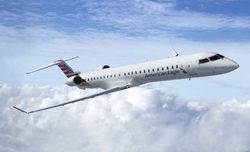 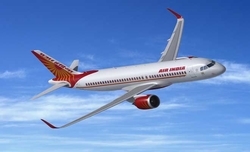 The US-India Business Council (USIBC) on Monday launched a task force on civil aviation that will focus on ident.. 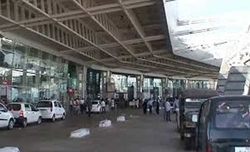 The National Capital Region (NCR) will get a new international airport in the next five years at Jewar, located .. 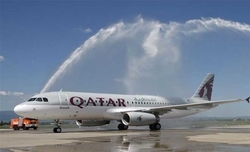 The government on Wednesday said that additional flights on the India-Qatar route will start shortly to ease the.. 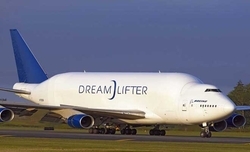 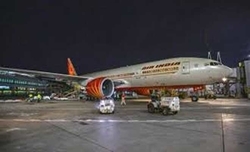 The long-awaited India-Afghanistan air freight corridor will take off in the next few days, government said on F..
National passenger carrier Air India on Friday said that all 134 passengers on board its Delhi-Jammu flight were.. 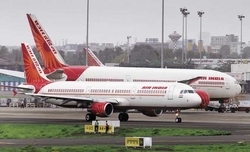 Regional connectivity and overall domestic passenger traffic are all set to get a boost as the central governmen..
A crucial issue in disinvestment of Air India is whether the government is willing to write off at least a part .. 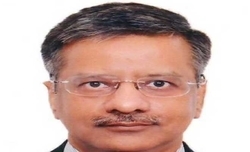 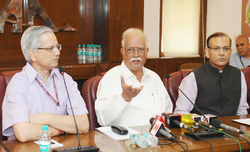 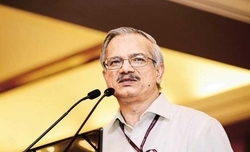 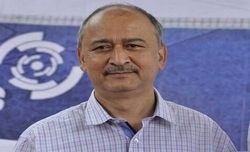 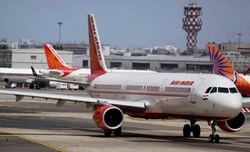 The CITU on Wednesday denounced the Modi government''s "retrograde" proposal of privatizing Air India, saying th..
Former HAL Chairman and CMD of Pawan Hans Ltd. has been appointed as Independent Director of Air India. 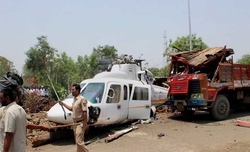 When a chopper carrying Maharashtra Chief Minister Devendra Fadnavis and five others came crashing down here on ..
Maharashtra Chief Minister Devendra Fadnavis and his team had a providential escape when their chopper crash-lan..
An Air India Mumbai-Bhubaneshwar flight was forced to make an emergency landing shortly after take-off due to su..
To commemorate its 24th anniversary, Jet Airways on Thursday said that it will come out with special fares on bo.. 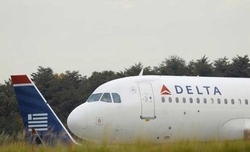 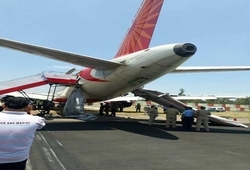 US'' Delta Air Lines has issued an apology for kicking a family with two young children off a flight after the c..
Prime Minister Narendra Modi promoted this as an opportunity for more people, especially the "common man", to ac..
Prime Minister Narendra Modi said on Thursday the UDAN regional connectivity scheme will make air travel accessi..
A trainer aircraft crashed on the Maharashtra-Madhya Pradesh border on Wednesday, killing the pilot and a traine..
National passenger carrier Air India has formulated new guidelines to deal with unruly passengers with hefty fin..
About 150 passengers of a Jet Airways flight were stranded at the Varanasi airport on Wednesday after a bird hit.. 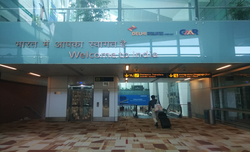 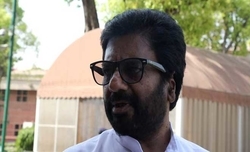 The civil aviation regulator on Friday said a major air incident was averted at the IGI airport here by the air ..
Gaikwad, who had confessed to hitting an Air India duty manager for not being given a business class seat, said .. 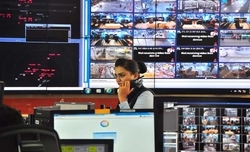 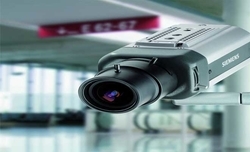 The Japanese government on Monday announced that it would install new video surveillance cameras at several airp.. 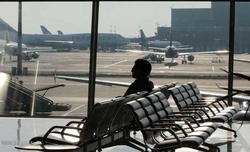 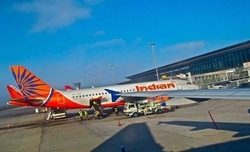 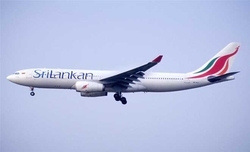 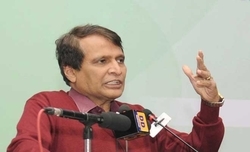 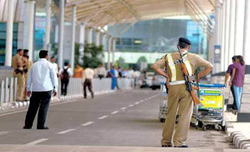 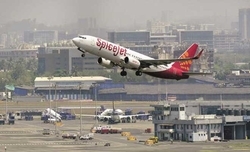 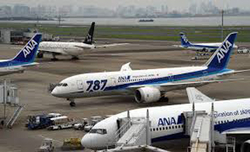 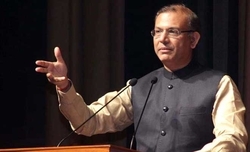 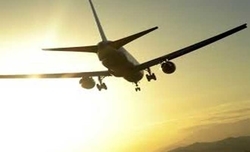 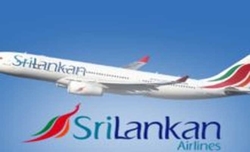 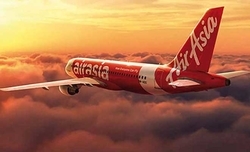 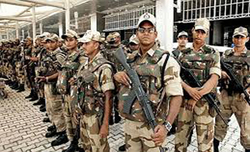 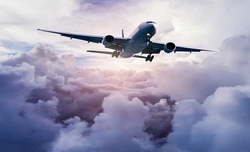 The Central Industrial Security Force (CISF) has decided to do away with stamping of hand baggage tags at seven ..
National carrier Air India on Thursday said its Ahmedabad-London-Newark flight was grounded in London after a bi..
Sri Lanka is looking to increase international air connectivity in an effort to boost tourism, a statement said ..
Civil Aviation Minister P. Ashok Gajapathi Raju on Friday performed the ground breaking for a greenfield trainin..
Fiji Airways and Jet Airways have formed a codeshare partnership which offers convenience and seamless connectiv..
Three persons were killed and two injured when a small plane crashed into a residential neighbourhood in Califor..
Civil Aviation Minister Ashok Gajapathi Raju on Tuesday inaugurated the country''s first integrated heliport at ..
At least five persons were killed when a light plane crashed into a Melbourne retail outlet on Tuesday Morning, ..
India''s domestic air passenger traffic zoomed up by 25.13 per cent during last month to 95.79 lakh, official da.. 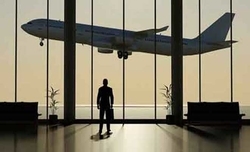 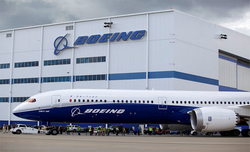 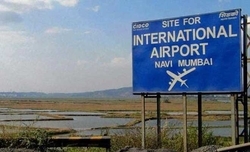 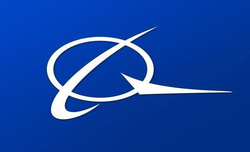 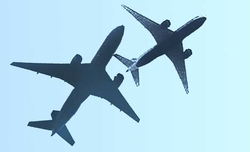 Global aerospace major Boeing on Wednesday said that it saw a high potential for air travel growth in India duri..
GVK has been finalised by Maharashtra''s CIDCO to construct the upcoming Rs 16,000 crore Navi Mumbai Internation..
Air India SATS Airport Services Pvt. 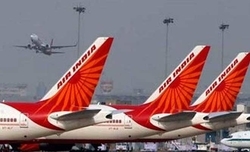 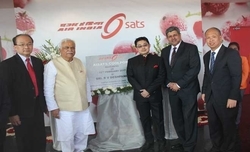 Ltd. (AISATS), India’s premier airport services company, launches “AISATS C..
National carrier Air India on Monday reported that all 122 passengers on-board its Bhopal-New Delhi flight were ..
Budget passenger carrier AirAsia India has started a discount offer of 50 per cent on the return leg of round tr.. 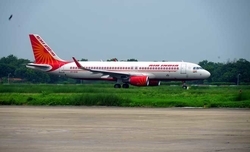 The central government on Tuesday approved a land transfer deal between the Airports Authority of India (AAI) an.. 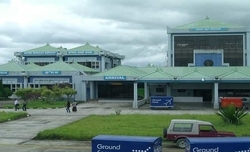 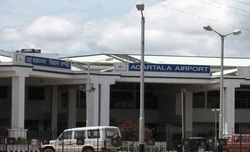 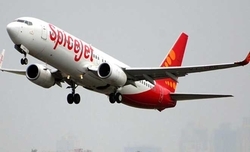 The Airports Authority of India (AAI) has undertaken a Rs 438 crore project to upgrade the Agartala airport to i..
India''s domestic air passenger traffic zoomed by 23.18 per cent in 2016 to 998.88 lakh, official data showed on..
Budget passenger carrier SpiceJet on Friday said that it will purchase up to 205 aircraft from global commercial.. 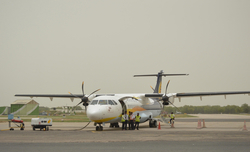 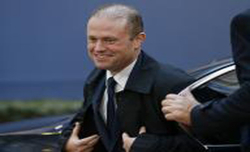 The Supreme Court on Thursday asked the CBI to investigate an alleged scandal in the purchase and leasing of air.. 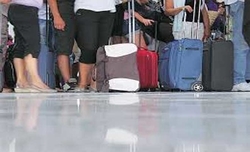 The government is conducting surveys across Indian airports to check if tags are needed for the accompanying bag.. 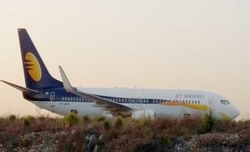 The Dabolim International Airport in Goa that was closed for operations after a flight skidded off the runway ea..
A major mishap was averted here at the Indira Gandhi International (IGI) airport on Tuesday after an Indigo and .. 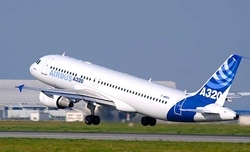 The state-owned Afriqiyah Airways A320 plane was on an internal flight from Sebha to Tripoli in Libya. 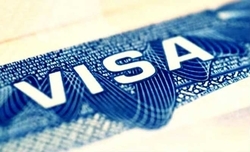 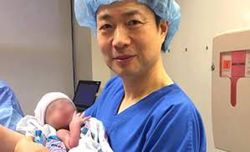 A total o..
An Indian-origin immigration manager of an outsourcing company has been found guilty in a H-1B visa fraud case, .. 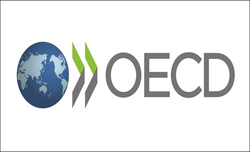 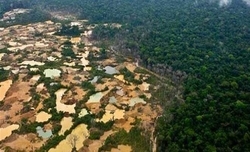 The Ecuadorian government has signed a contract with a Canadian firm to exploit a gold and silver deposit in its.. 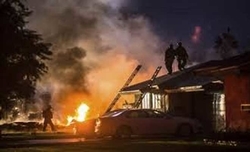 The mob of which he was part tried to attack a police station that also houses a Central Reserve Police Force co.. 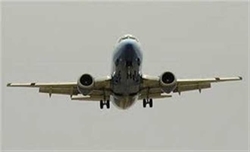 The just concluded visit to the US by Pakistan Army chief Raheel Sharif has been watched with interest and conce.. 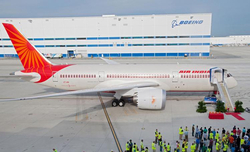 He s built an aircraft, now wants full-time job! 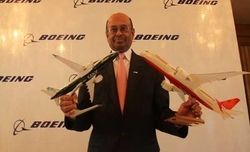 Saji Thomas is 45 years old from Kerala and, while God did not give him the faculties of speech and hearing, he ..
As I write this, I spot over a dozen Chinese men outside my Beijing hotel room wearing air purifier masks on the..
Wooing investors in the US, Indian Finance Minister Arun Jaitley has said that the Indian economy is revving up ..
Come March 30, the President's Bodyguard, the cavalry regiment of the Indian Army mounted on caparisoned and wel..